True to our promise we only send out newsletters when there is enough news. Well actually there has been a lot of news, and we need to catch up a bit. We have been posting many items on twitter, facebook and pintrest. So here is a consolidated version. The newsletter is quite long, so we hope you can put some time aside to read it all. Thanks to all for the positive feedback, it is appreciated, and all the well wishes regarding the fires. Yirgacheffee or Yirga Cheffee (depending on who you talk to) was the original coffee that started Frog Quaffer's Quest (re more here). So to say we have a soft spot for the coffee from this region of Ethiopia, would actually hit the nail on the head. Two years ago we were fortunate enough to source coffee direct from the region / Town, and this left such a great tingle on our tongue that when this source dried up we were unhappy to say the least. Our 4 star complex Ethiopian coffee we gone. Since then we have been trying Yirga Cheffee from a number of sources and have not been that impressed, except by the one offered by Bespoke and recently Café Imports. So it is with great cheer that we announce that the coffee we really liked, is almost here. We are hoping to have it in our offering list from the end of March. We do currently have a grade 2 Yirgacheffee but it is barely great. We have driven to distraction with the number of roast profiles we have tried to get some characteristics out of it that make it good. The new Yirga Cheffee is Very Good. the price is a little higher, but we believe it will be worth every cent. The coffee is a grade 1 and is from the Addo region which is a favourite of many Yirgacheffee lovers, watch the twitter updates for final release. Although we mentioned this last year it is now available, and impressing most people that try it. If you love South and Central Americans then this is a coffee you have to try before we sell out (we only had a small allocation). We are aware that we do a lot of Colombia coffees, and we love them, so having something that is a sample of the best an estate can offer, is always something we are excited about. You can read more about the coffee on the franco garzon page. If we could we would purchase more of these coffee and offer a wider variety. 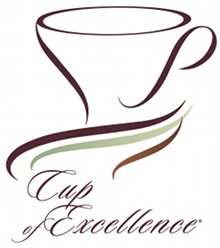 ACE's Cup of Excellence Program (CoE) recognizes and rewards great lots of coffee being produced by passionate farmers. These coffees go through 5 rounds of tastings (called cuppings) by Qualified coffee graders. Hence only the best coffees qualify and then those coffees are sold on an auction in Lots. We were able to get 10% of the one Lot from the Nicaragua 2014 program. The Coffee comes from the farmer Genaro Herrara, whose finca La Cascada we are also going to be offering a new coffee from in April. The CoE lot of coffee is one of the best examples of Nicaraguan coffee we have tasted. You can read more about the coffee here: Nicaraguan CoE Lot 21. Also released is a coffee from El Salvador - Las Delicias, which we have released to replace the La Palma. We have not finished publishing information on this coffee yet, but on first tastes we think this is as good as La Palma, if not better. Watch twitter and facebook for its information release. Our website is a little old, but one of the reasons we are struggling to move to a new shop based one, is that our current website offers a of flexibility. We are not forced to have coffee in fix weights, all coffee prices can be the same independent of the weight ordered, and our online order form can be easily used for quotes and orders. If you receive this newsletter there is a strong chance that you are a regular client. If you order your coffee using orders@quaffee.co.za then you will automatically be given our loyalty discount. However on the website to get this discount you need to select "We have an account". This gives you a discount; and since you are a regular client you have an account with us, so you only need to settle on invoice or even on statement. This means you get a discounted price and you can pay us on more flexible terms. So if you are using the online order sheet please select payment type: "We have an account" and get the loyalty discount you deserve. The Jura range of automatic coffee machines has always been a favourite of ours. The range is properly built, and Jura don't just make kitchen appliances they make coffee machines. Over the last year or two there have been rumblings of a price increase, and this may very well happen. But at the moment the main news is that two of our popular sellers are no longer available to South Africa. The Jura F7 and the Jura F50. The new Jura F9 is available as well as the Ena A9. We are not fans of the A9 so will not be offering it. The F9 is essentially an all in one good looking machine, and does all the bit and bobs you may want for an okay price, you can read more here.